A couple of weeks ago, we had the pleasure of traveling to Chestertown for a live broadcast of our show from historic Sumner Hall, a building that was for many generations central to the lives of African Americans on the Eastern Shore. One of our guests that afternoon was a community activist and former member of the Kent County Historical Society, Airlee Ringgold Johnson. She told us a little about Legacy Day, an annual celebration of African American history on the Eastern Shore that takes place in Chestertown on Saturday. 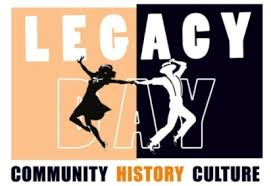 This is the fifth Legacy Day celebration in Chestertown. Every year, there’s a different theme. This year, Legacy Day will examine the desegregation of Chestertown public schools. She joins us today from Washington College in Chestertown. Bill Leary joins us as well. He is a historian who offered the first course in African American history at the University of Virginia in the late 1960s. He also worked at the National Archives and on the staff of the National Security Council. He’s also on the line from Washington College. And with Tom in Studio A, Vanessa Issacs Ringgold. A native of Chestertown, she currently lives in Owings Mills. She was among a group of five students who integrated Chestertown High School in the 1960s. In Tom's conversation with Lt. Governor Boyd Rutherford on Tuesday's Midday, the Lt. Governor mentioned two public officials: Baltimore City Health Commissioner, Dr. Leana Wen and Baltimore City Councilman Ryan Dorsey. Following the interview, both Dr. Wen and Mr. Dorsey contacted Tom to take issue with the Lt. Governor’s assertions on two issues. The Baltimore City Health Department (BCHD) purchases naloxone, the life-saving overdose antidote, at a discounted price of $75 per kit; providing a kit to all 620,000 residents in Baltimore City would cost ~$47 million. Given the limited funding available to BCHD to respond to the opioid epidemic, we have an algorithm to distribute naloxone to its citizens, ensuring those at highest risk of overdose have the medication. Every day, we must decide which residents will be able to carry naloxone to save a life, and which ones will not. This is the very definition of rationing. BCHD does not have enough funding to provide naloxone to every resident in our city who can save a life, or even enough for each of the ~25,000 residents of Baltimore City with opioid addiction to carry naloxone. In 2017, 33.3% (1/3) of overdose deaths in Maryland occurred in Baltimore City (761 in Baltimore City; 2,282 in Maryland). BCHD received 16.1% of the $22.2 million in federal funding allocated by the State of Maryland for 2018 ($830,429 in jurisdictional funding, $750,000 for naloxone, and $2 million to support our Stabilization Center). We have consistently requested that we receive 1/3 of the funding, including most recently in a letter to Maryland Health Secretary Neall last week. These are federal funds given to the state. Consistent with a core principle of public health (that funding be distribute to areas of greatest need), 1/3 of all the funding from the federal government to the state of Maryland for this epidemic should be allocated to Baltimore City. The right question to ask if not how much the city contributes to naloxone, but how much the city contributes to overdose prevention. Baltimore City contributes substantially to the overdose prevention efforts including through funding needle exchange and community outreach workers who actually distribute naloxone. The city also spearheads the 3-pillar strategy that also involves increased access to treatment (as naloxone saves a life, but long-term treatment is still needed). We in Baltimore are doing everything we can, with very limited resources. Local jurisdictions alone cannot provide the funding that is needed in state of an emergency, which Governor Hogan and President Trump have both declared. Imagine if this were a hurricane or other natural disaster that is killing 150+ people a day. It wouldn't be questioned that state and federal funding are critical to improve infrastructure and to rebuild communities. That's why we continue to request additional state and federal funding. At the very least, 1/3rd of the federal funding that comes through Maryland should be directed to Baltimore City, which sees 1/3 of all the overdose deaths in the state of Maryland. At Tom Hall’s mention of Governor Hogan’s cancellation of the Red Line, despite the need for an east west connector, and the failure of Baltimore Link to provide improved bus service in Baltimore, Lt Gov Rutherford invoked my name as if to suggest I've given my stamp of approval to Governor Hogan's BaltimoreLink system. That is flatly not true. Whatever positive experience I have had with the MTA bus system has been as a casual rider who is lucky to have a one-seat, direct ride from my house to City Hall where I work. If the bus doesn't come I can go get my car or my bike. That's not the experience of the average transit-reliant bus rider. The Lt. Gov's comments are more of the Hogan administration's obfuscation on transit and transportation issues. Governor Hogan has continuously avoided accountability on transit since taking office. If you look at reporting done by the Sun and studies performed by Central Maryland transit alliance, Governor Hogan has consistently tried to avoid any kind of earnest accounting for the state of the transit system, in terms of hard data. What is clear from what little data is available is that we have in Baltimore a seriously flawed system that is failing residents in the Baltimore region. In some cases worse. While there are some top quality people at MTA who are making the best of things, at the end of the day, nothing will really start to change without real buy-in and leadership from the Governor. Right now we have a system where the bus comes on time 60-70% of the time systemwide, not counting busses that are cancelled for lack of a vehicle or a driver. We have seriously dangerous conditions on our rail lines because of a deferred maintenance problem that has spiraled out of control. Lately the MARC trains seem to be breaking down every day--I hear from MARC commuters who say it's never been worse. life or death issue (referencing avertable deaths and life expectancy disparities) to people for whom it's a matter of 5 or 10 extra minutes in traffic. The LG finished by brushing aside the very real transportation challenges in the Baltimore region by saying that because “everyone complains about transportation." If it were a simple matter of “everybody complains”, then some people’s complaints are clearly being addressed differently than others. When suburban drivers complain about traffic, our Governor who personally makes money off of suburban sprawl development answers with $9 billion in highway projects (on top of $2 billion in Red Line funds), but when people complain about transit, it’s crickets.